Have you read about Quint, the online magazine? How come I have not heard about it before? 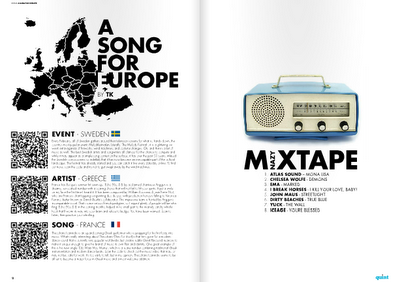 The issue #13 is currently out, and I only just find out about the very well designed online publication. 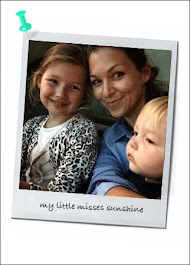 Maybe because, I am a mum and my days revolve around nursery drop off, Spiney's shopping, yoga, blogging and playdate at the park! Despite my communication design background, the fact that I did art school in NYC and my interest for visual art and photography… I feel far away from the design community and the art scene. But thanks to Quint, I got a little taste of it again. So, what is Quint magazine? A publication based in Dubai, launched by a boutique design studio. The intelligent content covers design, photography, film, fashion, culture, lifestyle and events. It's a platform for talented creative minds to express themselves, display their work, connect with others and inspire us. I love their design approach - graphics, layout and photography. 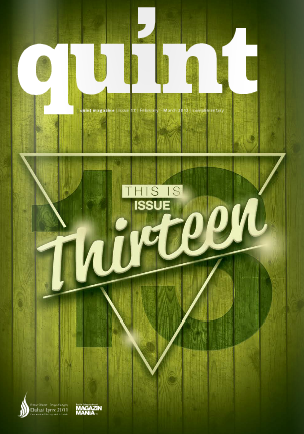 You can read Quint online here or find the printed version in major Dubai outlets like Virgin, news stands, galleries, coffee shops and creative hubs. It's FREE. Thanks for the blog post! We really appreciate it :) If you'd like the back issues in print just drop us an email to hi@quintdubai.com Thanks for the support! :) You're welcome. Good luck with the quint adventure... Keep up the great work!